The NFR moved from Oklahoma City nearly 30 years ago to Las Vegas and many people thought it would never work. Now it might move to Florida and, again, many people think it won’t work. Florida is offering four million dollars more than the current Vegas contract. That extra four million means more money for the contestants, which is where it should go. It is estimated Vegas reaps about ninety million dollars over the ten-day event that draws between 150,000-200,000 people to the city. It’s no wonder Florida is making a serious run to be the future host. Personally, I’ve never attended the NFR in Vegas because I’m leery of the underbelly of Vegas – organized crime, prostitution, gambling addiction, etc. I once turned down a good job offer because it would have required me to be in Vegas for a couple of weeks every year. Vegas can try all it wants to paint itself as “family friendly,” but even its motto and commercials of “What happens in Vegas stays in Vegas” contradicts that effort. It’s just a personal thing to not want to be there. I understand plenty of people enjoy Vegas and don’t see a downside to the city. The thing is, I write for several magazines that would love to have stories and photos from the NFR, but I could never bring myself to go. If it does move out of Vegas, there’s a good chance I’ll finally attend and get those stories and photos their way! 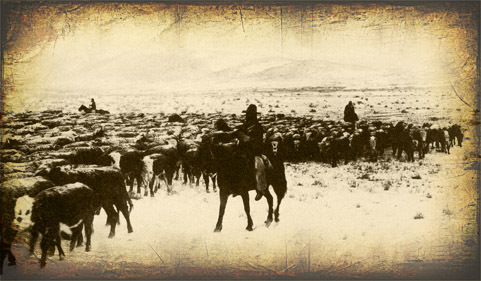 Sitting here watching the thermometer hover at zero degrees today brought to mind the toughness and spirit of the cowboys who used to drive the massive cattle herds to market rain, sleet or snow in the old west. Then I caught myself, because contemporary cowboys are still working the massive cattle herds no matter what mother nature throws their way. 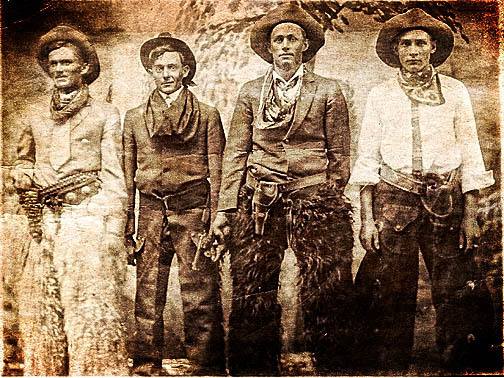 This cowboy poem of mine is dedicated to cowboys past and present and was published in 2005 by the good folks at CowboyPoetry.com. Through the waves of sun and rain. Of a seasoned, working pro. Remains the heartbeat of the West. Just like those days the West was won. For a life no one will tame. Check out Lincoln’s online gallery of Fine Art Photography. I thought I’d leave you with a cowboy poem I wrote back in 2003 and which was published online by the good folks at CowboyPoetry.com, the best dad-gum cowboy poetry website in the world. Thrown about the world today. It ain’t respect they aim to pay. As they mock those of the West. Who weren’t afraid to face a test. It does remind me of those men. Before they’d saddle up again. Like Wyatt Earp and Masterson. Two outlaw heroes on the run. Its picture branded in my mind. Through day and night and storm unkind. Riding mounts close as a brother. And lookin’ out for one another. And I believe the words are true. Were not the many but the few. About a Pard with boots and hat. Make sure you smile when you say that. Yep… it’s Cyber Monday today. Now, whether that means it’s a Monday strictly set aside for Cyborgs (or maybe just the Borg – does the “collective” even celebrate Christmas?) or if it means it’s the starter’s pistol, so to speak, for everyone to start their online frenzy of shopping, I’ll let you decide. Me? It gives me another chance to wish everyone a Merry Christmas in a cowboy kind of way. So, while you are straining your eyes staring at computer monitors for the best deal EVER or if you are running a diagnostic sub-routine on your implanted cyborg systems, take some time today to relax, breathe and remember to connect with the what this season is really all about. If I recall right, a crowd of angels shouted it on the very first Christmas. PS – Speaking of Best Deals EVER! My entire gallery of Fine Art Photography is available at a discount of 33% off my markup (the discount applies to my markup, but not the cost of frame, canvas, etc). Just use the code YJFGYV during the secure checkout process for your 33% discount. The discount is good through the middle of December. It’s a cold, snowy day outside, so my brain went searching for memories of warmer days. Of course, warm days meant summertime – summertime meant rodeo – and then rodeo meant the world famous Cheyenne Frontier Days – which meant thinking back on the time I spent this year photographing that rodeo for a magazine or two. Cheyenne Frontier Days (CFD) has a “photographer’s pit” at the back of their large outdoor arena. It’s like a concrete bunker where the professional photographers covering the rodeo walk down a number of steps to enter. The location brings us eye level with the arena sand, which makes for some spectacular photo opportunities. 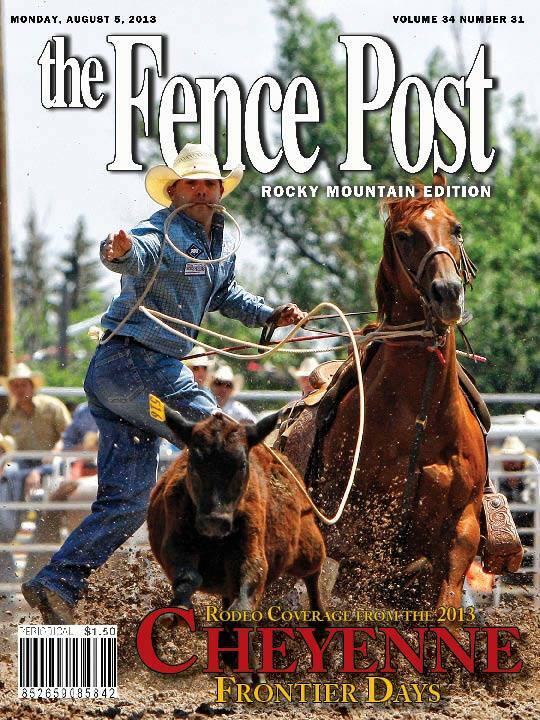 I was able to get a number of shots this year that I really liked, and a couple of them were turned into cover photos for The Fence Post magazine’s regional issues – one for Colorado and the other for Nebraska. Since I was thinking of them, I thought I’d share them here, as well. 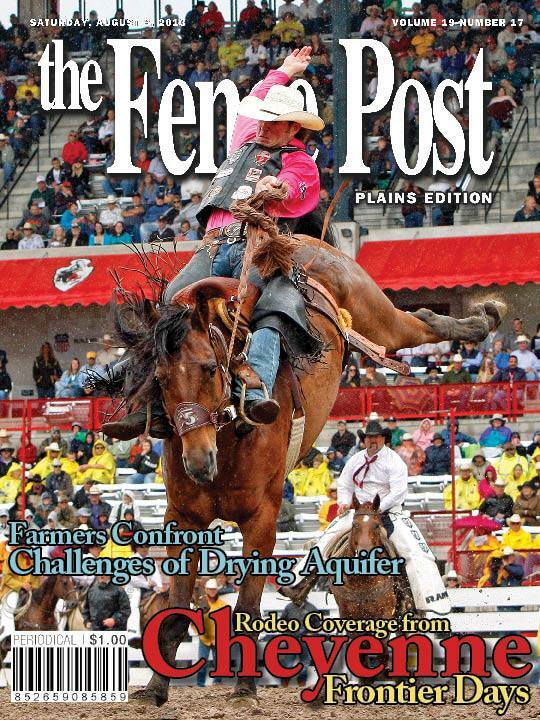 (Above) Tie Down Roper Scott Kormos pocketed $19,462 from the 2013 CFD, making him the rodeo’s top money winner. (Above) Nebraska saddle bronc cowboy Cort Scheer earned 4th place overall after successfully riding Thunderstruck in the championship round. See how the brain can work? It’s freezing outside, but I’ve got summertime memories to keep things warm. My previous photo posted earlier of the American Bison mother and calves resting in the warm sunshine of Yellowstone National Park shows off the optimism and hope always created in the presence of new beginnings. Yep… this is a new beginning for me. I had another blog, but just couldn’t get it going regularly and always felt it was unwieldy. So I’m starting this new blog and, as a result, I have that “new beginning” optimism about the direction this will take and the new places it might lead. My passion is the American West. It isn’t strictly confined to the American West, but I enjoy the people, places and events I find/experience throughout the region, and I photograph and write about them for a number of magazines. I even work on some of my favorite photos and offer them for sale in an online fine art gallery. The main thing is… I love what I do. Whether it is photographing the stunning peaks of the Grand Teton Mountains in Wyoming for a fine art print, capturing the excitement and energy of world famous rodeos like Cheyenne Frontier Days or the National Western Stock Show, or even putting into words on the pages of a magazine the experiences of people throughout the rural and agricultural west, I… wait for it… love what I do! As a result, I hope you will love keeping tabs on what I do through this blog and that it might even spark your own imagination toward the American West.